Rich forests and floodplain forests. 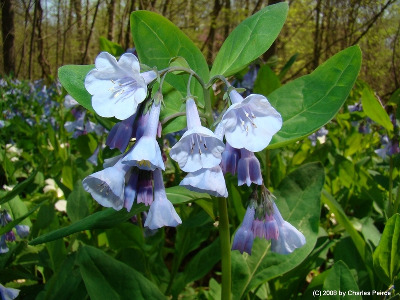 A beloved plant for wildflower gardens and though rare in the wild, this spreads readily in yards and beyond; plants from Ingham, Oakland, Schoolcraft, and probably Wayne Cos. are undoubtedly escapes. The plant is ephemeral, and disappears underground by late May or early June. MICHIGAN FLORA ONLINE. A. A. Reznicek, E. G. Voss, & B. S. Walters. February 2011. University of Michigan. Web. 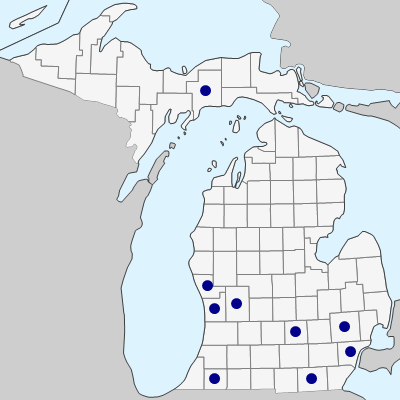 April 21, 2019. https://michiganflora.net/species.aspx?id=583.